VA 143 is a route that is more north-south than east-west, running from just north of Williamsburg down to Fort Monroe in Hampton. This is the "western" end via westbound I-64. 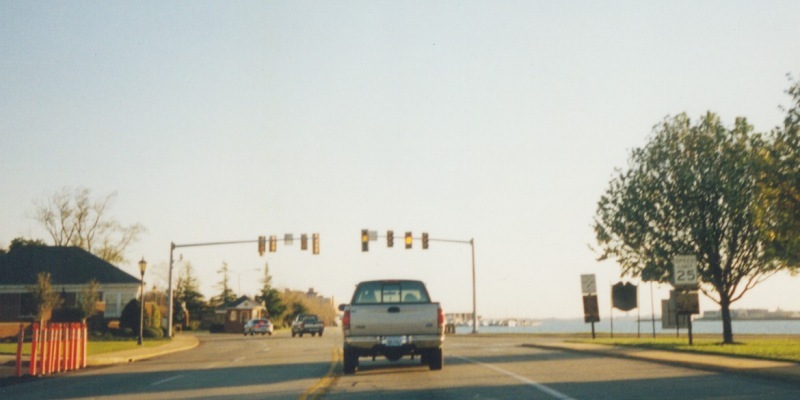 Photo by Adam Froehlig, taken April 6, 2003. Overhead signage on I-64 East at the interchange. Photo by Adam Froehlig, taken April 6, 2003. 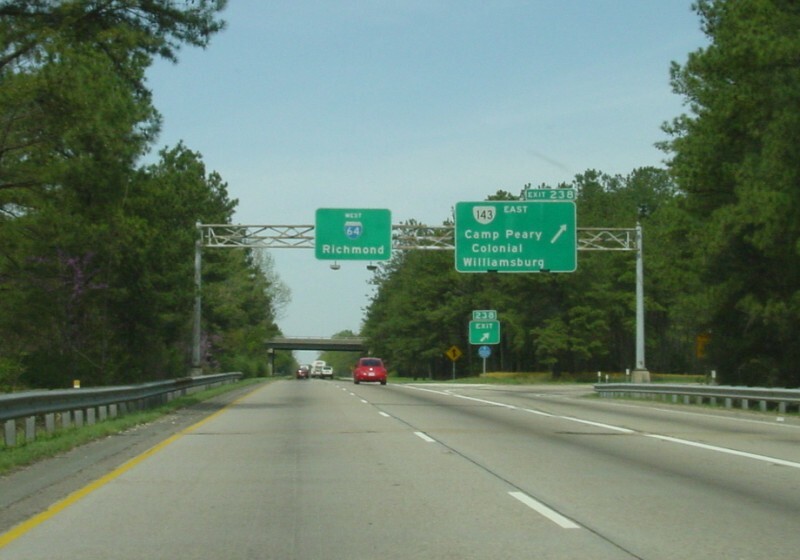 VA 143 just past I-64 approaching the Camp Peary gate. 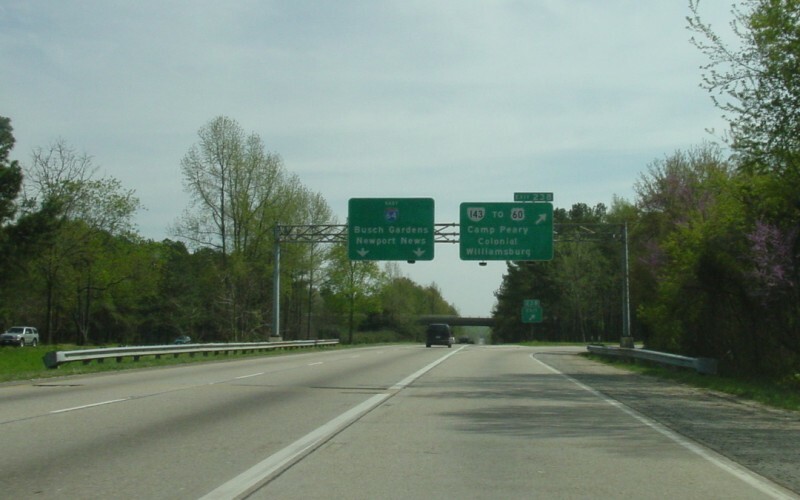 The functional end of VA 143 is at I-64 but technically it does go to the gate. Photo by Mapmikey, taken May 6, 2017. VA 143 leaving the gate and coming to I-64. Photo by Mapmikey, taken May 6, 2017. 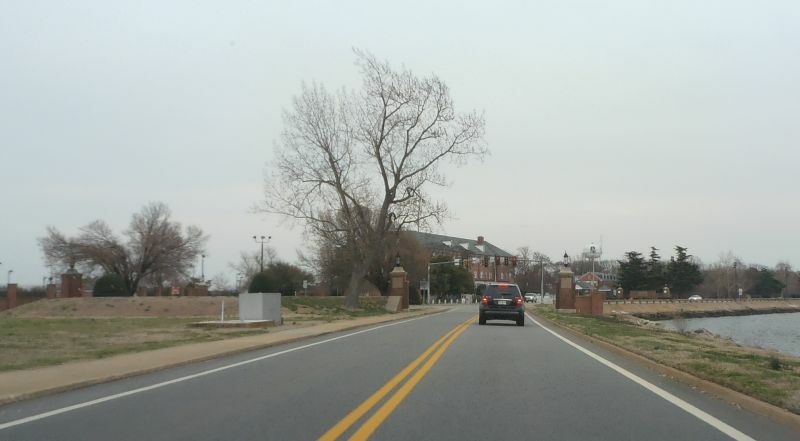 Looking south along "northbound" US 258, towards Fort Monroe. 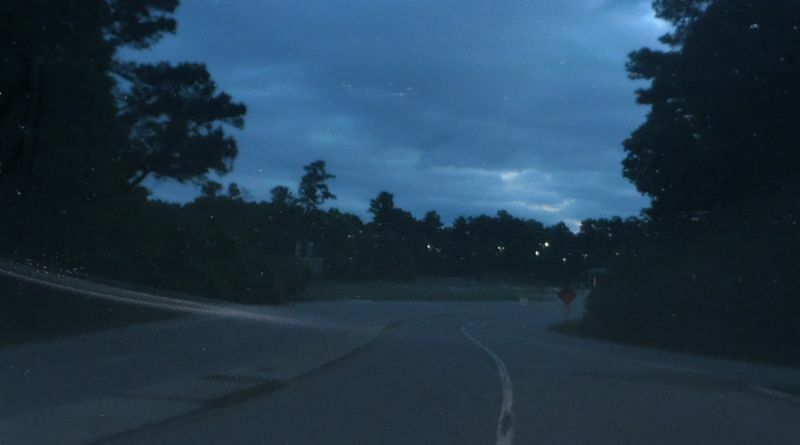 VA 143 comes in from the right and ends at this intersection as does US 258. 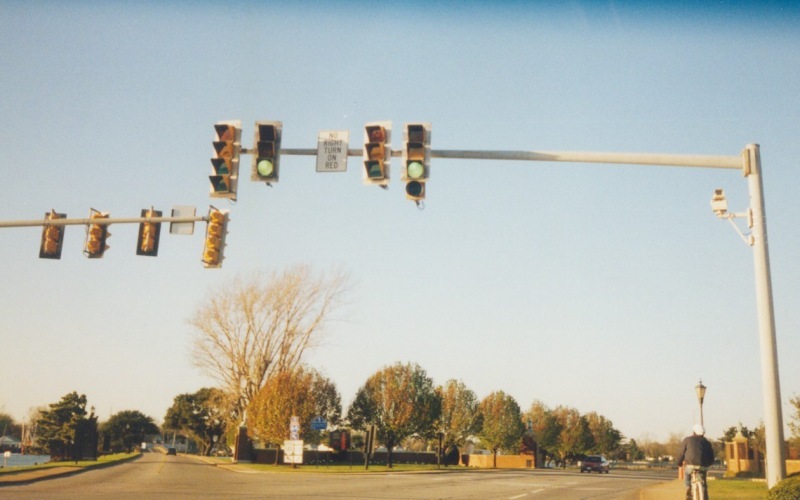 Photo by Adam Froehlig, taken November 28, 1999. 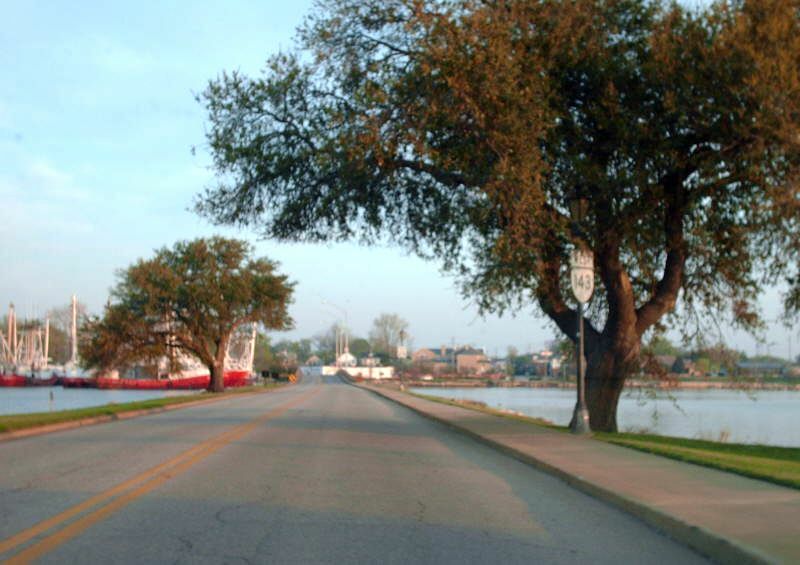 Looking from the southeast leg at the intersection, facing away from Fort Monroe. On the far side are US 258 and VA 143 trailblazers, and a TO I-64 shield. These signs were gone in 2008. Photo by Adam Froehlig, taken November 28, 1999. VA 143 leaving US 258. Photo by Mapmikey, taken April 19, 2008. VA 143 ending at US 258. 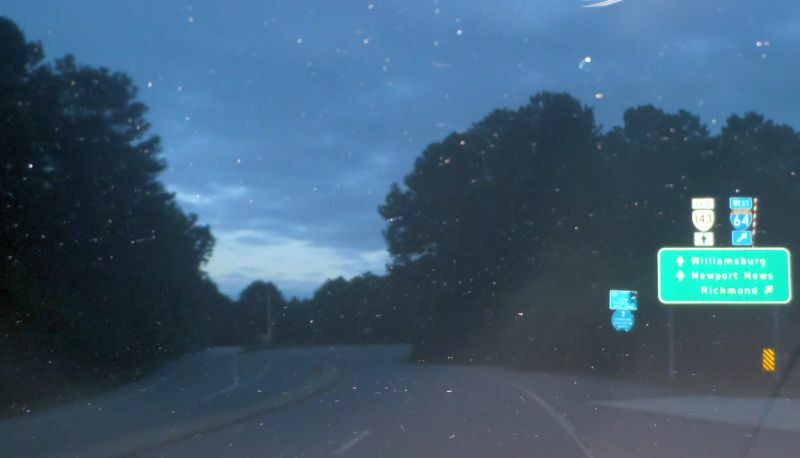 VA 143 has ended here since 1957. Photo by Mapmikey, taken March 22, 2014.